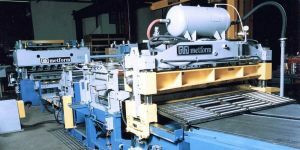 Metform offers a light gauge cut-to-length system designed to be low cost but flexible for lower volume applications. 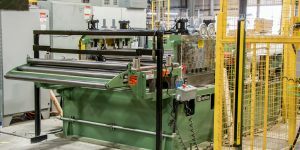 Designed to deliver clean and accurate cutting at speeds up to 120 fpm, MetKut is available in standard widths of 48” and 60” to process 16 GA steel. MetKut’s innovative modular design makes it easily adaptable with minimal set-up and adjustment, offering customer’s high quality at an affordable price. 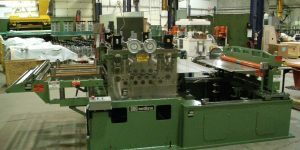 The MetKut features a servo controlled flying cut-off with a 7 roll flattener, all built into one compact unit. Optional features include a built in slitting head. 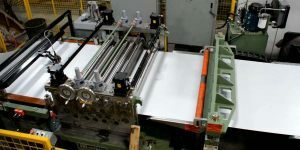 Produce your own steel sheets accurately at an affordable price!